You know that stop signs are purely for suggestion, turn signals are completely optional, speed bumps are more like hills, and you want to flip someone the bird at least once a week but can’t because it’s illegal. You’ve gotten sunburned before…in December. Because of this, you wear sunscreen year round. You’re friends are jealous because you post beach pictures all year long. You’ve looked up at least once because you thought someone was spitting on you, and then realized it was just the sky trying to rain. You can’t get anything done between 1-4:30 because businesses close down for afternoon break. You know that finding a parking space in most places is a gift from God and you wiggle in your seat when you find one. Or…you just do what the locals do and create your own. You or someone you know drives a Land Cruiser or Nissan Patrol. You no longer double take when you see a Corvette, Masserati, or Bently. But you will stop for Ferraris, Maclarens, Lambourginis, or a beautiful vintage piece. You’ve gotten used to the creepy guys that stare at you like you’re from out of space. You have an umbrella that serves no other purpose other than sun protection. You’ve cancelled plans just because it was too hot outside and didn’t feel like being slapped in the face by the humidity. You’ve ordered ridiculous things like toilet paper, a case of water, ice cream and more to be delivered to your doorstep and you’re not ashamed, even if the store is in your building. You brunch, lunch, and coffee morning with the best of them, and always looking for the next restaurant to spend a leisure afternoon. You know there’s no such thing as customer service here, and that no matter how many times someone says “Yes, Madammmmm,” in a sing-song tone, you still struggle to place an order, remedy a mishap, or file a complaint. You’ve switched 5-6 lanes in moving traffic and didn’t feel like a complete douche. You swear your family back home has never tasted a proper shawarma, falafel, baklava, or hummus. You’ve gained at least 15-20 lbs (see the above) and have no idea how to drop it. You’re constantly planning your next getaway, vacation, or exotic trip. You know that hiring help is perfectly necessary, and wouldn’t dare live without your nanny, housekeeper, or live-in maid. You say things like “Khalas” and “Inshallah” because no other phrase seems to express what you’re feeling. You know that most things are negotiable. Nothing happens on time. And “official” rules and regulations change regularly. You give friends directions to your house by citing the nearest mall, landmark, or GPS coordinates because there are no real addresses here. You’ve had so much things shipped to your home that you’re starting to feel like a cartel. 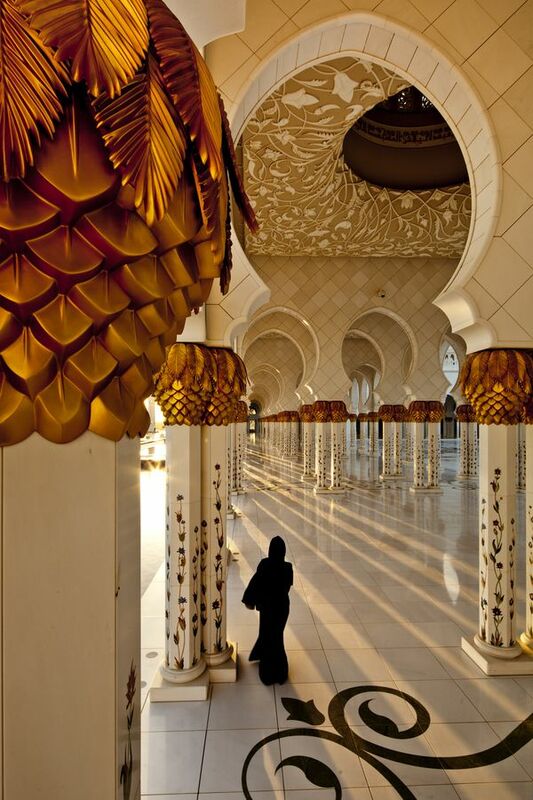 You go to Dubai for shopping, good food, and fun on a regular basis. 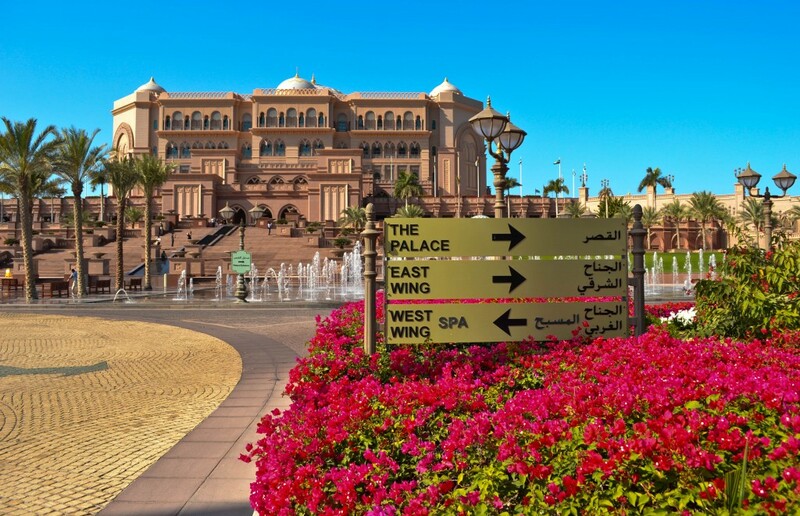 You’ve drank 14karat gold at Emirates Palace. You have friends from places you’ve never heard of until several years ago. You look forward to cloudy days. You own at least one expensive pair of shades and don’t sweat it because you wear them all year long. You know that if you search hard enough, anything can be delivered to your door. Even Pinkberry. You’ve ridden a camel, smoked shisha, got a henna tattoo, and attempted to belly dance at least once. You expect everything to be open until midnight. And know that during Ramadan the city never sleeps. You’ve had ongoing construction in every single neighborhood you’ve ever lived in. You’ve seen a sandstorm and said several prayers because you were sure this would be your last day on earth. You live in a high rise apartment over-looking the city and you’re not rich. You’ve pulled up to a store or establishment in your car, placed the order, and then waited for the guy to bring it to your car door, like a boss! You know to buy perfumes to take back home to your family and keep some for yourself. You’ve made some of the best friends in your life and can’t imagine ever leaving! brilliant. Made me Lol! What about undertaking and overtaking because how else will you get past the guy doing 30km under the speed limit, not bothering with signaling because what’s the point, using more petrol than you have ever done before but you don’t care as it’s as cheap as water. And finally you arrive late for everything and yet still are the first to arrive. Creepy indian guys??!!! Come on that’s so unfair ..no one has the right to generalise. It’s not a generalization. It happens regularly. And we find it very uncomfortable but it’s apart of the culture in many parts of India. I’ve confirmed this with some of my southeast Asian friends and none was offended. It’s nothing to get angry about, and was meant as a bit of humor for something that is grossly offensive for most expat women, to be honest with you. Do you live in the UAE? Yes. Do you live here? Because the people who live here get it. 49. The worth of number plate on the most expensive car on road can be MORE than the car itself. 50. You can go for a walk at 3 am in the night…alone!! 51. You can find Sheikh Muhammad (the prime minister of UAE and ruler of Dubai) simply driving around in his car at any time of the day without a protocol. Coffee and tea are the new water. Grocery shopping is a sport. Explicit lyrics are often play in mall stores. 58. You spend a fortune on exercise and exercise clothes. You sometimes exercise, but you then overindulge at every meal. Credit / debit. 59. Whilst the weather is so beautiful most of the year that you could simply run / walk / swim. 60. If you’re a “lady” you can basically drink for free if you go out during the week. 61. If you’re a man – well you can’t. And no restaurant staff will ever expect you to “go dutch” on the bill, so if you’re on a date, you’re paying. 62. And it is fair because us “ladies” also spend spend spend on beauty treatments – manis, pedis, waxing are now basic maintenance. 63. You are so used to living in a peaceful place that raised voices in public places in your home country shock you. 64. You can never fully explain what it’s really like to live here to people who don’t / haven’t / won’t. 65. But you will have changed for the better if you ever decide to repatriate. Thank you so much Claire for commenting and visiting. These are all great additions to the list haha. 58, guilty as charged hahah. Land of indulgence. I was reading this post with lot of curiosity and pleasure 😉 love to find out new curiosities about people and places! 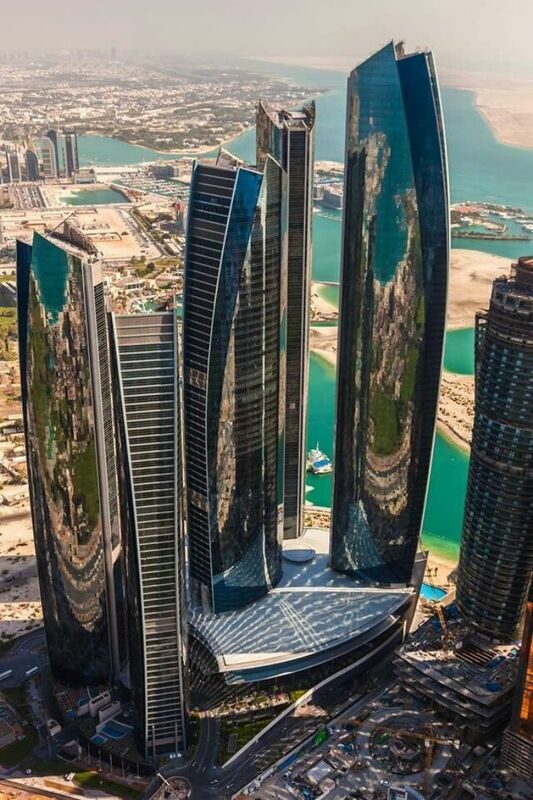 I’ve never lived in Abu Dhabi, but I’ve been couple of times to Dubai. I really loved it! And I was even thinking about moving there before I moved to Barcelona 🙂 now I feel like moving there again! No expat can own a house in UAE. You know what ‘fi’ and ‘mafi’ means. Proper english grammar are optional. Haha. Ooops! Proper english grammar is* optional. I am a victim. Haha. I’ve been living in AD for about 12 years now, and you learn to respect other cultures and habits, mostly when you are the privileged one. If a 20 year old kid can do it, you can too. 1) You have a gardener and you’re not even rich. 3) You’re not surprised to see friends wearing a lot of bling-bling and feel underdressed because you wear minimal jewellery. 4) You rarely eat breakfast … mostly brunch. You’ve forgotten how to fill up your own car with petrol. You’ve forgotten how to pack your own shopping at the supermarket. You know at least one person who’s been in a car accident here. Driving for hours to get to work doesn’t seem such a big deal now. You can’t help but admire how everyone in a kindora and abaya looks the same yet looks so elegant, sophisticated and classy. And it doesn’t even look uniformy. You scowl at foreigners (like you) who stand out and draw attention to themselves. Gr8 blog except for ur remark on creepy Indian guys…FYI..thyre usually from the neighbouring country of te creepy indian guys..nonetheless not a nice way to put it down. Totally relate! Minus the umbrella. haha thanks Holly for reading! 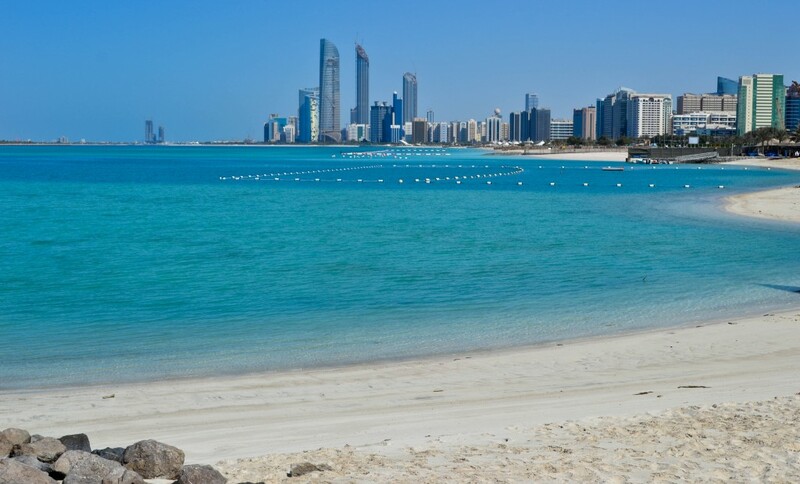 I think my expat friends and I who have been here 25 years + need to draw up a list of old Abu Dhabi and new Abu Dhabi. Some things remain the same and so, so many things have changed over the years. Great list Amira. Talk about being in Abu Dhabi too long….